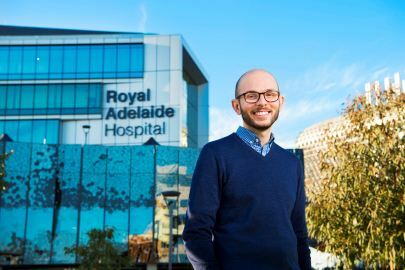 Study Bachelor of Health Science at the University of South Australia (UniSA). Information for International students. This program will not be offered from 2020. Prospective students interested in health sciences may wish to consider the new Bachelor of Health Science (Public Health). Gain specialised non-clinical skills and knowledge related to the improvement and maintenance of community health. Graduate industry-ready when you complete a health and wellbeing industry placement in your final year. Choose from a wide range of majors and minors to focus on areas that interest you most. Have the opportunity to study part of your degree overseas with Study Overseas. This flexible degree will prepare you for a career as a non-clinical health professional. Through a range of theoretical and practical learning you will gain a thorough understanding of biological and social science, and have the opportunity to align your studies to a personal area of interest through a wide selection of majors and minors. On campus you’ll find experiential learning environments and a great connection to industry and research, providing you with important learning opportunities. You’ll also have the opportunity to gain some real-world experience when you complete an industry field placement during your final year of study. develop the skills and knowledge to develop, evaluate and manage community-based health and wellbeing programs and services, build healthy public policy, and undertake research to improve and maintain population health and wellbeing. A major (36 units) or two minors (18 units each) must be completed from the list of University majors and minors. 1. All students in the Division of Health Sciences who, as part of their program, undertake activities where interaction with patients/the public is required, such as in field or clinical placements/visits and in University clinics and gyms, must demonstrate that they have a current National Police Clearance and a current National Criminal History Record Check (Child-Related Clearance) from the Department for Communities and Social Inclusion (DCSI), which is valid for the duration of the program. The National Police Check will list disclosable court outcomes that may prevent clinical placement involvement. 2. A major (36 units) or two minors (18 units each) must be completed from the list of University majors and minors. 4. Students undertaking the Anatomy and Physiology Minor must complete this course. 5. This course is for students who are not undertaking the Anatomy and Physiology Minor. 1. The Elective is a free elective selected by the student. You will build important industry connections throughout your degree by hearing from industry guest speakers, completing group work for consultancies and undertaking field placements. Field placements are completed in your final year and are a great way to build important industry connections. As a renowned research institution we have strong relationships with industry and more than 500 clinical placement partners – this is great news for health science students eager to build pivotal industry networks. Health service manager: oversee and manage the administrative activities of health care departments or facilities, develop and implement policies, order supplies and maintain records. Community development officer: ensure the growth and overall health and vitality of a region by working for non-profit organisations, social service agencies or financial institutions. Healthy ageing officer: develop and coordinate a range of ‘healthy ageing’ programs for older people. Community support worker: support individuals to live as independently as possible, offering physical, emotional and social support. Project officer: provide project scheduling, budget management and reporting to assist in delivering success projects. Health policy analyst: responsible for conducting research into the effectiveness of proposed healthcare policies. Evaluation officer: plan, develop and undertake evaluations of models of care across health systems. Health data manager: work with patient information and other data to undertake data analyses. health researcher or research assistant: design, manage and direct research projects related to non-clinical health care. Depending on your results, you may also be eligible to proceed to postgraduate study. 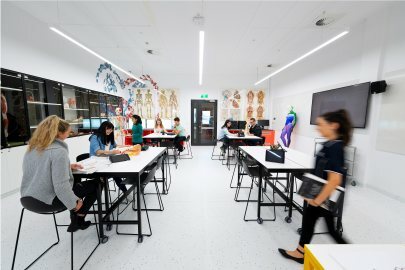 You could take your career to the next level with postgraduate coursework in areas such as physiotherapy, occupational therapy or medical sonography. You can complete a graduate certificate in six months, a graduate diploma in one year, and a master in one to two years. Employment for health therapy professionals in Australia is projected to increase by 21,600 (25.2 per cent) by November 20201. Healthcare and social assistance is a strongly growing industry. As Australia's largest employing industry it employs more than 1.5 million and accounts for 13 per cent of workers1. I am privileged with directing a dynamic and flexible degree alongside a group of dedicated teachers and researchers, developing capable, industry-ready graduates who will contribute to improving and maintaining the health of communities. I am a passionate educator, committed to teaching and learning practices that engage students and enable them to achieve their potential. I studied Health Science as it’s a broad degree which gave me time to determine what I wanted to specialise in. My placement at Southern Cross Care provided hands-on experience, where I helped develop a pamphlet that teaches families of the elderly about aged care and different conditions that elderly people may have. Health Science is a diverse degree that has flexibility with majors and minors to make it what you enjoy and are passionate about. Since graduating, I started working with the Royal Society for the Blind (RSB). I really enjoy my role at the RSB and I like the diversity of different audiences, networking with other service providers and advocating for people who are blind or vision impaired. Flexibility and the opportunity to explore multiple career paths attracted me to study this degree. I hope to empower people in the community by educating them about adopting a healthy lifestyle. I was always interested in healthcare and this flexible degree provided me with a well-rounded view of health as a whole, giving me a broad range of career options. It’s rewarding working with patients who are benefitting from the studies we’re running.